Remember Timesplitters developers Free Radical? They were swallowed up along with the rights to their greatest success by Crytek three years ago, saved from financial ruin and rebirthed as Crytek UK. Since, they’ve worked on multiplayer for the Crysis series and on upcoming US invasion complex sim Homefront 2. What they haven’t worked on is Timesplitters 4 – a fact of which series devotees are vocally aware. But Crytek have just okayed a CryEngine mod made by those same devos. 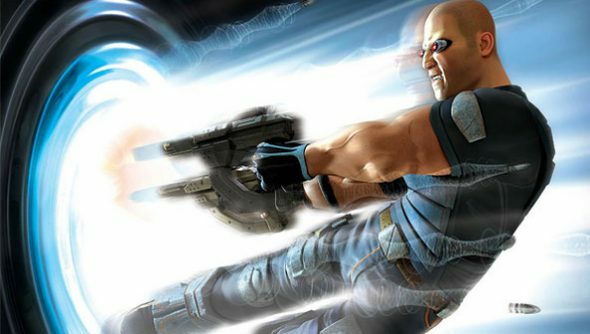 “I have just had word from Crytek that they are going to permit and support a TimeSplitters CryEngine mod,” says Daniel Wesoly of the 100,000 Strong for Timesplitters 4 Facebook page. Wesoly’s plan is to “build a TimeSplitters all-in-one. All the levels, all the characters and all the weapons”. He wants modders to contact him via [email protected] or Cairn_Trenor on Skype. I’m sure you don’t need me to tell you that it’s incredibly rare for a major developer to proffer such active support for a mod remake of one of their properties. The situation Wesoly’s found himself in is very special indeed. There’s another way to look at this, though: does Crytek’s willingness to support this mod put paid to any theories of a Crytek UK-developed Timesplitters for the foreseeable future?